Baa Atoll, especially the waters surrounding Dharavandhoo and nearby lagoons is the best place to indulge into a life-time experience of sailing in a traditional wooden boat called “Bokkura”. For the first time in Dharvandhoo, we offer you the chance to sail around the lagoons in Biosphere Reserve. Sailing with wind power alone will be a unique and memorable experience, and it is not unusual that you encounter a pod of dolphins that migh swim alongside! You will love it! Keep your eyes peeled for sea turtles and different species of rays too. 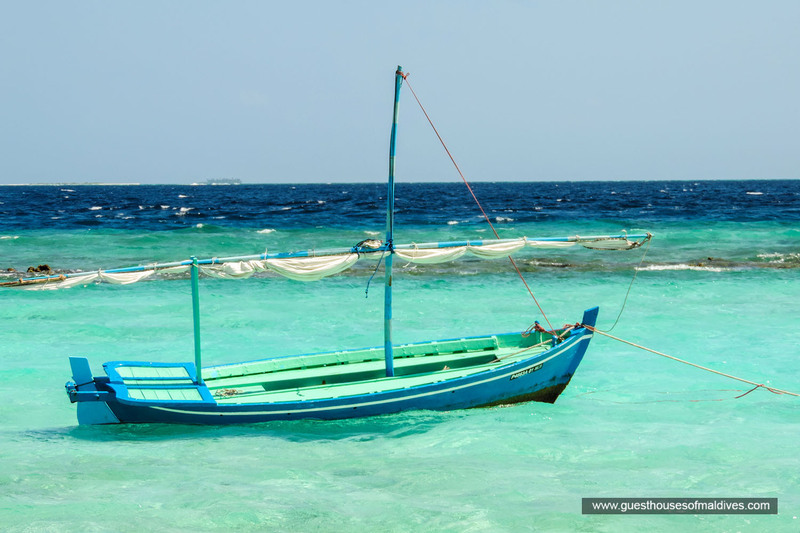 You could use the sailing boat to venture out to a deserted island near Dharavandhoo for a swim, snorkel or a sun bath. You could also enjoy traditional line fishing called “Vadhu Fetthun”. Just tell let us know how you would like your traditional sailing trip to be arranged and we will do everything we can to suit your needs.